For the Art & Design and Built Environment, Fourth College Research Conference the Fine Art team present a full day event exploring Research In and Through Practice. Conference delegates are invited to attend a single panel session or join the Fine Art team for the full day to engage with new concepts, debate ideas and share knowledge. 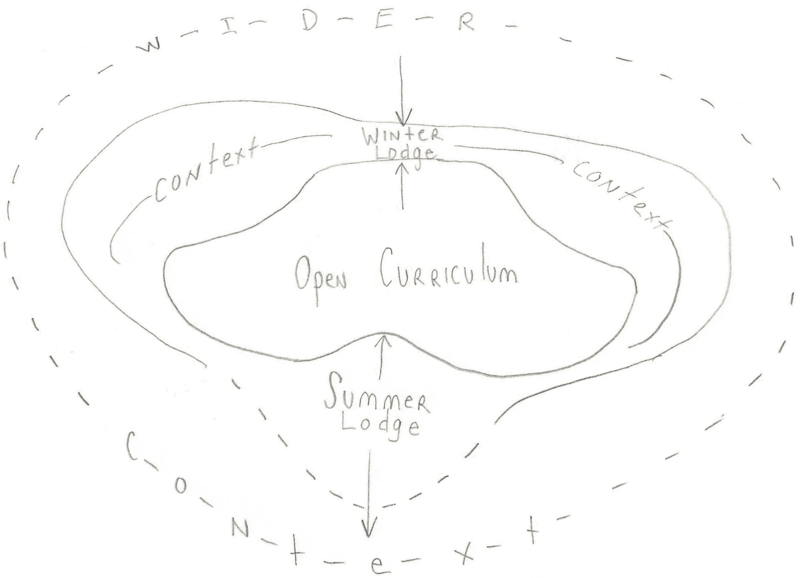 The Summer Lodge – a generative space for opening out research. For two weeks annually the undergraduate Fine Art studio provides an innovative context for developing and sharing practice-based research. Summer Lodge is conceived as a ‘making space’ or the making of space [and time, mental and actual], a period of suspension dedicated to the ‘journey’ of exploration and experimentation within artistic research, rather than the ‘destination’ or outcome. Dialogue is a fundamental part of the Lodge experience, where critical understanding of others’ practice and one’s own is nurtured. The Winter Lodge – a collegiate context for applying pressure. A week long retreat which offers critical conditions where staff can present, discuss and test their research ideas in a supportive environment away from the habitual pressures and distractions of the university. 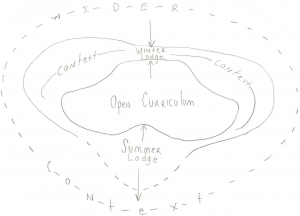 Winter Lodge puts vital pressure on individual’s understanding of their own research practice whilst exploring points of connectivity (a shared lexicon and philosophy), where focus is placed on excavating and elaborating an understanding of the research enquiry operative within each practice. Contexts: a year-long lecture programme linking the Lodges, where staff actively mirror the tasks set to students (Presenting Contexts, Interrogating Contexts) to visibly put pressure on their research practice as a live and interactive event which students witness and participate in. Within NTU fine art, staff research is woven into the curriculum, considered a part of teaching, not separate to it. Mirroring the format of the Contexts Lecture programme, in this panel session Fine Art staff explore the notion of positionality within their own artistic research by focusing specifically on ideas of interstitiality (a state of between-ness) and alternation (the oscillation from one position to another). The capacity to move between positions – between teaching and research; between ignorance and knowledge; between research as a sharable and singular activity – will be explored; the potentiality of inhabiting multiple positions or the ability for ‘being both’ advocated as a critical methodology within artistic research practice. A celebration event to launch the Visual Arts Research Archive, a display of publications and printed matter demonstrating how engagement in professional contexts beyond the University is central to teaching in Visual Arts. During the launch, there will be opportunity for a Studio Tour, enabling further insights into the activities of the Summer Lodge, an annual event which will be taking places in studios from 1 – 12 July.